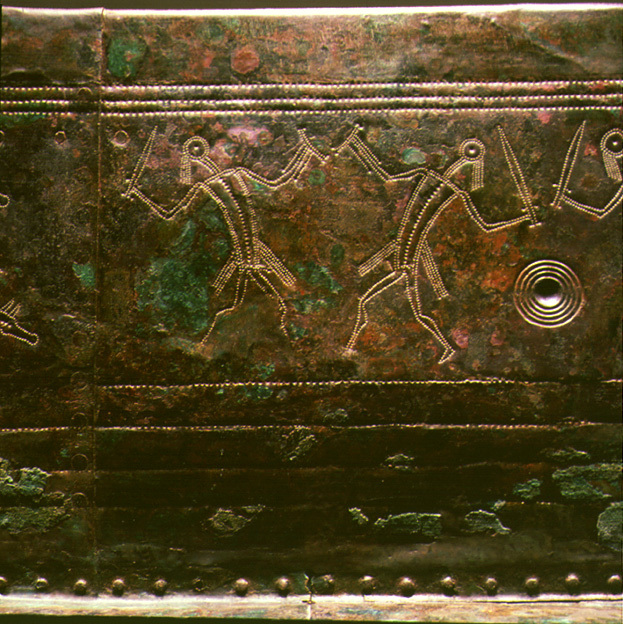 The question whether this depicts bronze age combat or a contemporary dance form. The bronze age was ancient history for the people who made the couch, but it does seem to depict leaf blade swords and bronze age shields in my opinion. Comments on SFI please, to keep the discussion central and to give Jeroen a chance to reply.